An artist's illustration of the Cassini spacecraft as it makes its closest swing past a Saturnian moon on Mar. 12, 2008. As missions go, the name Kepler might one day be just asfamous as Hubble or Apollo, which are legendary for changing the course ofhistory with their scientific breakthroughs. NASA is set to launch the newplanet-hunting spacecraft tonight. If Kepler succeeds in its mission tofind a truly Earth-sized planet in a habitable orbit around a distant sun, thediscovery could change our conception of our own place in the cosmos forever. History will tell if Kepler is really one of the greats.For now, here's our subjective list of ten NASA missions that have alreadyearned their spot in the space mission hall of fame. And if you don't like our choices, you can weigh in withyour own opinion in NASA's "MissionMadness" tournament. Starting March 9, NASA will host online votingmatches that narrow down to a final contest deciding which of 64 historicmissions will take home the title "greatest." Pioneer 10 and Pioneer 11, launched in 1972 and 1973,respectively, were the first spacecraft to visit the solar system's mostphotogenic gas giants, Jupiter and Saturn. Pioneer 10 was the first probe totravel through the solar system's asteroid belt, a field of orbiting rocksbetween Mars and Jupiter. Then about a year-and-a-half after its launch, thespacecraft made the first flyby of the planet Jupiter. It took stunningup-close photos of the Great Red Spot and the wide swaths of red that band theplanet. About a year later, Pioneer 11 flew by Jupiter, and then moved on toSaturn, where it discovered a couple of previously unknown small moons aroundthe planet, and a new ring. Both probes have stopped sending data, and arecontinuing out on their one-wayvoyages beyond the solar system. Shortly after the Pioneers made their flybys, the Voyager1 and Voyager 2 probes followed. They made many important discoveries aboutJupiter and Saturn, including rings around Jupiter and the presence ofvolcanism on Jupiter's moon, Io. Voyager went on to make the first flybys ofUranus, where it discovered 10 new moons, and Neptune, where it found thatNeptune actually weighs less than astronomers thought. Both Voyager crafts haveenough power to keep transmitting radio signals until at least 2025, and arenow exploring the very edgeof the solar system and beginning of interstellar space. Voyager 2 iscurrently the farthest man-made object from Earth, at more than a hundred timesthe distance from the Earth to the sun, and more than twice as far as Pluto. The Wilkinson Microwave Anisotropy Probe (WMAP), launchedin 2001, may not be as well-known, but it measures with unprecedented accuracythe temperature of the radiation left over from the Big Bang. By mapping outthe fluctuations in the so-called cosmic microwave background radiation, thespacecraft has heralded a leap forward in cosmological theories about thenature and origin of the universe. Among other revelations, the data from WMAP revealeda much more precise estimate for the ageof the universe ? 13.7 billion years ? and confirmed that about 95 percentof it is composed of poorly understood things called dark matter and darkenergy. Another spacecraft with a profound effect on cosmologyand astrophysics is the Spitzer Space Telescope, which observed the heavensthrough infrared light. This light, which has a longer wavelength than visuallight, is mostly blocked by Earth's atmosphere. In addition to takinggorgeous photos of galaxies, nebulae and stars, the telescope has madenumerous groundbreaking scientific discoveries. In 2005 Spitzer became thefirst telescope to detect light from extrasolar planets (most of these distantworlds are detected only through secondary, gravitational effects on theirsuns). In another observation, astronomers think the telescope may have evencaptured light from some of the first stars born in the universe. This joint NASA/ESA spacecraft, launched in 1997, reachedits destination, Saturn, in 2004. Since then it has been in orbitaround the ringed world, taking one stunning snapshot after another of theplanets rings, moons and weather. The Hugyens probe separated from Cassini andmade a special trip to the moon Titan, where it descended through theatmosphere and landed on solid ground in 2005. 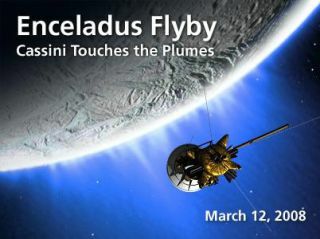 Though previous spacecraft havevisited Saturn, Cassini is the first to orbit it and study the system indetail. Since 1999, the Chandra X-ray Observatory has beenscanning the skies in X-ray light, looking at some of the most distantand bizarre astronomical events. Because Earth's pesky atmosphere blocksout most X-rays, astronomers couldn't view the universe in this high-energy,short-wavelength light until they sent Chandra up to space. The observatory hassuch high-resolution mirrors, it can see X-ray sources 100 times fainter thanany previous X-ray telescope. Among other firsts, Chandra showed scientists thefirst glimpse of the crushed star left over after a supernova when it observedthe remnant Cassiopeia A. When NASA's Viking 1 probe touched-downon Mars in July 1976, it was the first time a man-made object had soft-landedon the red planet. (Though the Soviet Mars 2 and 3 probes did land on thesurface, they failed upon landing). The Viking 1 lander also holds the title oflongest-running Mars surface mission, with a total duration of 6 years and 116days. The spacecraft also sent the first color pictures back from the Martiansurface, showing us what that mysterious red dot looks like from the ground forthe first time. The most-loved of all NASA spacecraft, the Hubble SpaceTelescope has name recognition around the world. Its photos have changed theway everyday people figure themselves into the cosmos. The observatory has alsoradically changedscience, making breakthroughs on astronomical issues too numerous to count.By finally sending up an optical telescope to peer at the sky from beyondEarth's turbulent atmosphere, NASA developed a tool that could reveal stars,planets, nebulae and galaxies in all their fully-detailed glory. NASA's best space science mission? The one humans got totag along on, of course! Not only was sending a man to the moon monumental forhuman history, but the Apollo trips were the first to bring celestial stuffback to Earth and greatly advanced our scientificunderstanding of the moon. Before Apollo, many people weren't evenconvinced the moon wasn't made out of cheese (well? non-scientists at least).By studying the moon up close and personal, and then carting? loads of moonrocks home, the Apollo astronauts gathered data that helped us learn how oldthe moon is, what it's made out of, and even how it might have begun.